Basel/Phoenix, May 12th, 2016 - Davidoff celebrates the opening of its newest lounge in Phoenix, AZ on May 19th, 2016. 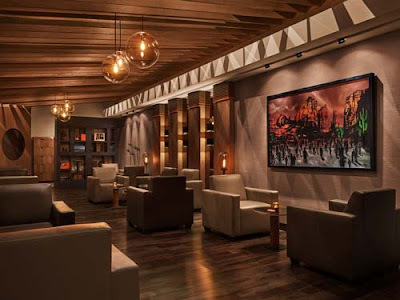 The Davidoff Lounge at Ambassador Fine Cigars will provide an upscale cigar sanctuary in the Phoenix / Scottsdale metro area. 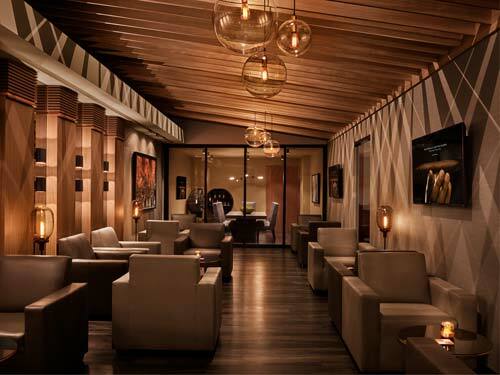 The 2,000 square feet Davidoff Lounge at Ambassador Fine Cigars was designed with the cigar connoisseur in mind. The concept offers a selection of refined natural materials inspired by tobacco fields and the Dominican Republic. 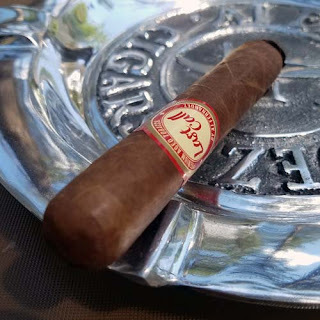 It delivers a warm brilliance and comfortable atmosphere to enhance the cigar experience. The engaging design of the lounge creates one large, seamless space connecting refined custom décor, architectural features, art, and a well-appointed conference room. Distinctive architectural details in the lounge include a backlit 12’ slanted ceiling and a special commissioned art piece by the New York City duo URNY. The unique 3 dimensional art installation compliments the fusion of cigar pleasure and Arizona’s unique and spiritual landscape. All decorative elements give each Davidoff Lounge a recognizable stamp of quality and luxury. A high degree of customer service and care has always been a top priority for Ambassador Fine Cigars since its humble beginnings in 1997. Since then it has grown substantially, winning two Davidoff Golden Band Awards along the way. Outside of the main lounge, amenities include an elegant boardroom offering members a private space to conduct meetings and hold private dinner events. Custom-built humidified lockers welcome private members to store their personal cigars at any time. On the retail side, the 1,000 sq. ft. walk-in humidor is a mecca for cigar enthusiasts yearning for an unmatched selection. Finally, a custom bar offers sprits and catering opportunities, adding to the exceptional member experience. Day passes are available for guests, thereby welcoming all non-members to enjoy lounge amenities for a day. Indeed, Ambassador Fine Cigars is known for providing an atmosphere of friendship and camaraderie to all its patrons. Oettinger Davidoff AG with sales of over CHF 600 million and 3,500 employees around the world, traces its roots back to 1875 and remains family-owned to this day with two distinctly different businesses: One that is focused on FMCG distribution in the Swiss market and the other is dedicated to the core business of producing, marketing and retailing premium-branded cigars, tobacco products and accessories. The premium-branded cigar business includes Davidoff, AVO, Camacho, Cusano, Griffin’s, Private Stock, Zino and Zino Platinum. The Oettinger Davidoff AG business is anchored in a strong “crop-to-shop” philosophy, having pursued vertical integration from the tobacco fields in the Dominican Republic, Honduras and Nicaragua to the worldwide network of over 70 Davidoff Flagship Stores that complement a network of strong Appointed Merchants around the world.